Tim Hart is one of Australian golf’s most promising young players, who many are predicting as a very exciting prospect to take the next step and play on the US PGA tour. One of the longest drivers on the Australian tour, Timmy literally hits the ball out of sight! 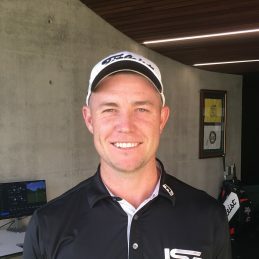 Born and breed in the home of Australian country music Tamworth NSW, Tim moved to the Gold Coast 4 years ago to pursue his goal of becoming a professional golfer. His rise and success in the sport has been rapid and impressive. Tim will this year compete in the Australian Open being held at Royal Sydney in November. Enquire now about syndicate opportunities to be part of Team Hart!